This is a personal invitation to Mrs. Ford and her husband to visit Berry College and the students in a relaxed fashion. 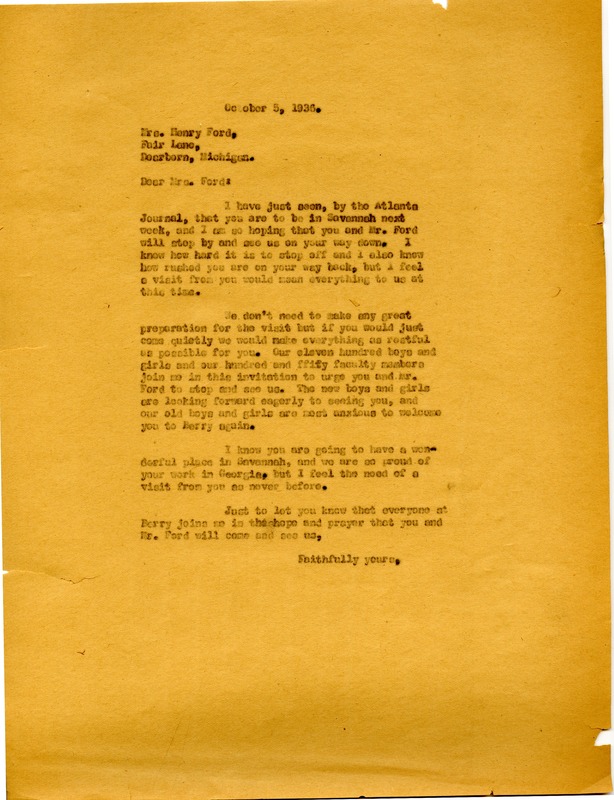 Miss Martha Berry, “Letter to Mrs. Henry Ford from Martha Berry.” Martha Berry Digital Archive. Eds. Schlitz, Stephanie A., Meg Ratliff, Rachel Renaud, Christy Snider, Geraldine Schlitz, et al. Mount Berry: Berry College, 2011. accessed April 21, 2019, https://mbda.berry.edu/items/show/370.